Hi friends, we wanted to share the details of Goldie’s premature birth. 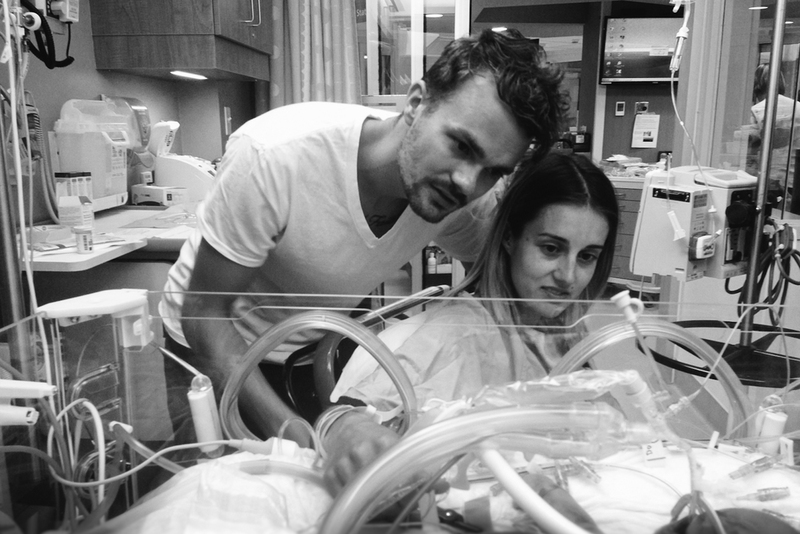 The delivery was a very intense experience, but we wanted to share the highs and the lows of this life-changing week. Our little Goldie Bloom Menzel was born this Friday, July 10th at 12:40pm, 6 weeks before her due date. This isn’t an easy week/day for us to think about, it make us feel ill just going through the experience. But, we know that it is important to go through and if we don’t write it out now we will forget the details of the story. On Monday July 6th I met my midwife at the hospital around noon, because I had been bleeding that morning. As she monitored me I started having mild contractions. I wasn’t dilated, but some blood tests showed that my body was producing an early labour hormone. I was admitted to the hospital right away. The contractions continued all week. I laid in bed hooked up to monitors as the pre-labour pains went up and down in intensity and frequency over the days. I only dilated 2cm over the week, and they decided to send me home since my contractions were fading. As soon as we got home they got stronger and closer together, but I tried my best to just breathe through them. As soon as I got in bed for the night I noticed I was bleeding again, so we rushed back to the hospital. I was having strong contractions every 4 minutes. When we arrived I was 3cm dilated – not much progress, but they re-admitted me because I was so early. I finally received a shot of morphine and had the greatest couple hours of pain free sleep! I continued to labour through the night and they were starting to plan an Emergency C-section. Then at about 10am it was time to start pushing. I pushed for a couple hours and not much was happening. They tried to break my water but realized that there were no membranes! Somewhere along the way the membranes had broken without us knowing. It was extremely discouraging to be pushing as hard as possible with every contraction, but hearing “Push harder! Push Harder!” I knew by everyones’ faces that nothing was happening. Finally they started to see the head. The Dr began pulling on her and doing everything they could to get her out. Her head was very swollen, so forceps weren’t an option because they couldn’t even tell where her face was. She was stuck! The swelling had caused her stomach to be as wide as her body is long. It was a horrifying moment. The Dr was pulling on her head while two nurses were pushing my stomach trying to squeeze her out! Finally, I had the feeling of relief… until they laid her on my chest to cut the cord and realized her body was completely lifeless, silent & pulseless. They quickly cut the cord and began to revive her. The midwife and nurses, in an effort to distract me, immediately got me to start pushing the out the placenta – once again it was stuck! The cord ripped, creating a frantic and traumatizing scene that is very hard for David or myself to think about. Goldie was rushed out of the room and I was rushed to the OR for surgery. They needed to remove the bits of placenta with me unconscious. While I was asleep they gave me two blood transfusions. Earlier in the day, doctors had noticed that my Hemoglobin was half of what is should be. This whole time, David sat in the room I delivered in while both Goldie and I were in critical condition. He got a chance to see Goldie briefly but only because the doctors needed to let him know that they were expecting she wouldn’t survive the next few hours. I was brought back to the room 4 hours later and saw David, my family, and learned that Goldie was alive, although in rough shape. At this point we were all in a state of shock and I can’t really even remember what happened after that, other than waiting on updates about our baby. David went to the NICU to go see Goldie and disappeared for a long time. When he came back a few hours later, I learned that his body had gone into some type of shock due to the stress, and he was being cared for in emergency. Over the next few days I continued to receive blood transfusions, because my blood count was still low and I couldn’t really function or process this situation. We had family around all the time and lots of care from the Dr’s and nurses to get me back to health and to let us know Goldie’s state. Yesterday (Monday, July 13) my blood count was finally up and I was discharged. I am feeling more alive & present and we have been given a place to stay as a family at the Ronald McDonald House in the Hospital so that we can be just a hallway away from Goldie at all hours. We have had a lot of people ask if Goldie is sick because she came early, but it’s the opposite. My body knew that Goldie was very sick and that is why she came early. At some point in the last 14 weeks Goldie and my placenta became very sick. They don’t know why, how, or with what, but they both began to swell and Goldie’s body began filling with fluid everywhere. They don’t know her actual weight but she came out 6 weeks early looking heavier than a full term baby from all the swelling. This explains the major growth spurt I had this past month in pregnancy, and why I had absolutely zero energy. There isn’t too much to explain about Goldie’s condition because it is all unknown. Every part of her body is being supported in someway, she is on a lot of medication to be kept somewhat paralyzed so that they can keep her lungs and heart going. The past couple days they have been very slowly letting up on different supports or medications and her body has remained stable, so that is a good sign. Her body is slowly leaking fluid everywhere, which is causing her swelling to go down. As they are easing up on the medication she has been able to start moving just slightly. It is so wonderful to see her move her toes when I touch her foot, or slightly suckle when they clean out her mouth. We’re celebrating the small victories, like her peeing for the first time yesterday, but still taking it hour by hour and know that things could turn around for better or worse at any moment. She has a lot of trauma to her body from delivery; stitches on her neck, cuts & bruises, a broken arm and a few other things. We spend a lot of time visiting her room and just talking to her little body laying in the incubator. Every morning we go and listen to the daily report of the Doctors on what is going on, and what their daily goals are for her. The nurses tell us everything that they are doing, and let us do any small thing we can. Last night I got to clean her mouth with breast milk, and put lubricant in her eyes. It brings me so much joy! It’s been so encouraging see how much her medical team cares. Yesterday a nurse gave me a long hug because she was so excited to see that she had made some small progress… As I’m writing this David came back to the room to report that they received info back on the heart and may have had been overly optimistic of it’s stability, and we are still very much at the point of taking it moment to moment. It’s been such a crazy, life-changing week already – one of those things where you never expect it to be you. You never think you’ll be the family with the sick baby or the crazy story. But we know that God has a plan, and are so encouraged by the amount of prayers, support, love and meals we have received from our families, friends, and community. We hope and pray for Goldie’s body every day and we long for the first time we get to hold her, hear her cry, and feel like a family together. We don’t have any feelings of “why us”, anger, regret, or confusion. We have peace knowing that God has this in his plan and already knows the number of days we will have with Goldie in our lives. Whether we have a lifetime with her, or one last night, we’ve had the blessing of seeing her little life, and God has completely changed ours. Our whole family has been praying for you, Goldie and your husband constantly, Bethany! We will continue to do so! Your strength is incredible. Sending so much love, light and prayers to Goldie and your family. Oh Mama! I was exactly in your shoes two years ago….different circumstances but my appendix ruptured at 25 weeks and my second baby boy was born two weeks later at 27 weeks, weighing 2lbs and very sick. We lived in a RMH for three months and it was the season of trusting God giving it ALL to Him. Our God is a living and powerful God! I’m keeping you in my prayers and thoughts always. One day at a time. Nicu babies are fighters for sure and so are Nicu Mamas! You seem like such a brave, strong and beautiful woman. How inspiring it is to read about you and your husband’s experience and faith in this situation. Will be thinking and praying for all of you as your sweet baby fights. Goldie is beautiful, and she is so loved. What a testimony her life already is. Claiming abundant life for your little girl in the strong name of Jesus. Congratulations on the birth of your beautiful daughter. Bless little Goldie. My family sends yours all of our prayers. Take care of yourself too mama. I was moved to tears reading this because it brought so many flashbacks of my own birth story. It was similar in many ways but also very different. All I want to really share with you now is that looking back all I can see is God’s abundant and limitless grace through that whole time. I don’t know how I was able to smile or talk or breathe or walk during those tough days with my daughter in the NICU. It was purely just God lavishing His grace on us and giving us JUST the right amount to make it through each and every day. Don’t lose heart. Praying for you and for little Goldie. I’m not sure if you remember me (Kiwi from camp!) but I saw this on Brian Hawkin’s facebook and over the years I’ve stumbled across your blog from time to time. You are such an incredible woman and I can’t imagine the journey you’re on right now. The love you have for Goldie is so evident and the power of prayer is clearly holding you right now. Know that there are prayers coming from Ontario. I pray you can feel God’s hand on your shoulder as you navigate the next few weeks. Much love! This post really touched me, praying for your wonderful family! Sending happiness and strength your way! Stay strong! Bethany, your story has brought me to tears and I’m reminded of our own similar experience with a preterm baby in life threatening condition. I’m so glad you’ve taken the time and had the courage to write this down. You will be thankful later that you did! Our daughter is now 10 and my brain has blocked out a lot of her first few weeks. Certain smells and hospital noises can quickly take me back there though. -accept help when it’s offered… No need to be a ‘super hero’ momma in these days that lie ahead. Let ‘the body’ be the body and allow God to use other people to be the hands and feet of Jesus. I don’t know you but I know your parents as we spend some time at camp each summer. I’ve been where you’re at and I’m more than willing to lend a listening ear if you need when we are there in a couple weeks. I will continue to pray for Goldie and your family. Hugs to you. May the peace of our Father blanket you as you sleep and give you rest. gosh, sending so many prayers for your family! Oh Bethany! I’ve been following your blog and insta after discovering all of your amazing posts with T&T. So much love to you and your family! I absolutely love her name what a beautiful choice. Pregnancies spaced too close together can cause complications for the second pregnancy. Bethany thank you so much for letting us know about your sweet girl. We will continue to pray for her and you and David. Goldie, what a beautiful name! Tears streaming down my face and praying for your sweet family. I heard of your news a couple days ago and have just felt such sadness and heartache for you. So happy to see you both are relying on The Lord and His strength to carry you and sustain you. We are praying for you and your family, and especially little Goldie. I love the pics you chose. I love you, Goldie, and your sweet mama! What a precious baby. Praying for the peace and healing of Christ to be with you. Praying for you, and all that your hearts must be feeling. Know that He is with you in everything. May the love of your friends and family surround you and fill your heart as you journey down this road. Sending you prayers! Reading your story brings tears to our eyes. We are praying for you both and baby Goldie and that God gives her the strength and healing that she needs. Our son too spent time in the NICU at Surrey Memorial, and we are so thankful for the wonderful nurses and doctors that will be taking care of your little one there. They truly are a great team. Love sent from Natalie, Perry and Austin Harder. You probably don’t remember me, but your (David’s) mom & I were very close friends when we both lived in the Vancouver area, before moving to Calgary. My prayers are with you and your sweet baby girl, Goldie. Twenty-eight years ago, my own daughter-in-law was born in England at twenty-six weeks gestation. The nurse told her mother that her baby would die. Her grandfather prayed over all three of the babies in the critical care nursery; two of whom were born at only twenty-five weeks gestation. All three babies survived, praise the Lord! God is mighty! Your family will continue to be in my prayers. You are one amazing mama! And so strong! Please know you and your babe are surrounded with so much love and we are sending all of our positive energy your way. You are all so much stronger than you think! Lots of love to your family and your amazing little miracle. Oh Bethany, what a profoundly difficult story to read. yet so beautifully written and preciously depicted. Praying, praying and praying some more. Oh Bethany, I’m praying for Goldie and your family! You will be in my thoughts continually! Sending love! I’ve been following your blog and Insta and I couldn’t help but feel so deeply for you and precious Goldie. I am a pediatric critical care nurse (and also a mama) and I’m sending you all the love, strength, and incredible resilience that I’ve witnessed in the families I’ve cared for. You’ll be in my thoughts and prayers. I’m so sorry…I’m hoping and praying that everything will be okay. I always enjoy reading your blog. Thank you for sharing this story with us. I am in awe of the faith you and your family have during this hard time. Sending you lots of love and many prayers! I can’t imagine how hard that would have been for you to write. I am thinking of you and your family and praying for your precious Goldie all the time. Sending many prayers and love to your family. God bless you all. Your family is in our prayers! Your faith is absolutely inspiring! Continue to lean on God! No matter what the outcome He will continue to bless you!! Sending your family, and especially Goldie lots of prayers. Your family will be in my prayers! Praying for comfort in you and your strength! Your story came across my Facebook newsfeed. I am praying for you and your family. You and David are incredible. I will add Goldie to the top of my prayer list, as well as you both and Poppy. You are right, you never expect to "be that family," or to have something like this to occur. I have witness medical miracle after medical miracle with my oldest brother who has special needs. Goldie herself IS a medical miracle already. 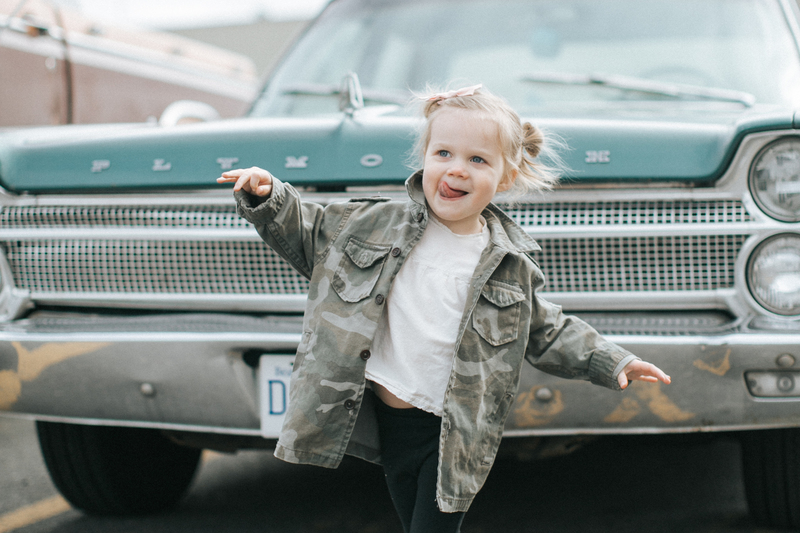 She is a strong little girl and even by the short amount of time she has been here on this great big, scary earth, she has proven that God is indeed real. I know we’ve never met and you’ve probably never seen my name; I follow you on IG and wanted to read your blog as I saw your photos. I am praying, sister. Stay strong, I am incredibly moved by your faith and peace in this situation. Bethany, you sure have a beautiful way with words. I don’t know you personally but what I do know from reading your blog and especially this story, you are so elegant and beautiful inside and out. You and your family are in the hardest situation and yet you are so uplifting and positive. I admire you so much. Sending prayers and love to you and your family. I can tell Goldie is strong like her mama and will make it. I don’t know you, but I LOVE your blog! Many prayers of comfort and strength for you and your beautiful angel baby! God has a plan for little miss Goldie and your family! PS I love her name!! Thank you for sharing your story. My husband and I too have our baby, first born, in the NICU. He came 4 weeks early and had a rough time. He had a hypoxic event and went without oxygen for a period of time. There was not a lot of blood in his umbilical cord when they cut it so they think that had something to do with it as well. God has been a part of our sons recovery every step of the way and the power of prayer is an amazing thing! I too believe God can heal your baby girl. Stay strong and celebrate every small victory. Oh sweet family, we are praying for you! Thank you for being courageous and sharing your story. My middle son had some issues during pregnancy which caused swelling and I, too, thought I would deliver him early at 28 weeks. He was stubborn and stayed put and girl, my knees were worn out from praying! 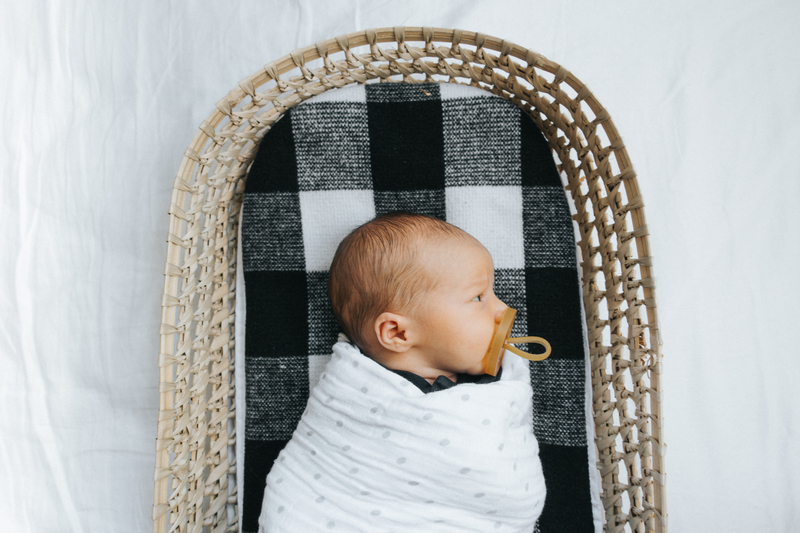 He was born at 40 weeks – I had to push while the drs practiced with a baby ambu bag in the corner. I had been so afraid he wouldn’t cry; oh how I remember that feeling. He had chest surgery a week later to correct some vessel issues that caused the problems in the first place and spent two weeks in NICU. Beeps, wires, sounds, vents. Babies next to us and all around us faring much better and much worse. There is only prayer. There is shared prayer because you become part of a select few warriors who understand the fear and grief and bravery of a parent of a sick child. Over and over and over I repeated Hebrews 11:1 – "Now faith is the substance of things hoped for, the evidence of things not seen" and had to realize that Andrew had already blessed us in his short life. God had a plan for his life from the moment he was created, it was beautiful. He came home after 2 weeks and I soaked up every single thing he did. I still do. And Andrew will be 13 in August. Hang in there. God has a plan – and this will weave together for His good. For all four of you and every person Goldie touches. What a strong, brave girl you have there! We will continue to pray for you, so strongly. Sending tons of love and prayers to you all. Bethany, im writing to you from a very far, far away country… i follow you since 2 or 3 years now and this is the first time ive realize how strange, crazy and magical this blog life is: since you post your photo at the hospital i was so concerned about you and your little baby as i would have been of my bff. i woked up every morning thinking about you, wondering how everything was going and asking the universe to give you and your family love love love… but i knew something was wrong, and now i read this and all i can feel is this really strong desire to hug you, to be there with you and your lovely family, giving you all the help you could need. im glad to hear you are surrounded by family and friends and that you are living all this experience through your faith in God which makes you feel in peace, receiving and keeping deep in your heart/memories the little life signals of your dear Goldie, enjoying and respecting her time here, trusting in her life and her time. As i told you at the beggining, im really far away from you, in a place between the Pacific and the Andes. We dont speak the same language, we havent see each other faces and our lives are so different but we look at the same stars, the same miracle called Universe and we can relate each other through the most wonderful feeling: LOVE. I wish I could give you a hug. I "met" you through Treasures and Travels about a year ago, after my little girl was born. It was an emergency c-section, my baby almost didn’t make it, and the two of us had a rough and complicated time for awhile. I stumbled on T&T in the months afterward while struggling with severe postpartum depression. Your blog never failed to brighten my day and after you left it, I followed your personal blog too. You and the other girls lent a lot of sunshine to me in my dark time and I just had to tell you I will be praying for you, David, Poppy, and especially little Goldie. I know a bit of what pain and fear and sorrow feel like as a mommy and my heart is with you. Keep holding onto our Lord tight. He won’t let you go. He never let me go. Sending many prayers to you and your little family. May our Heavenly Father continue to hold you all in the palm of his hand. Sending much love & positive vibes to you and David. Your Goldie is a blessing! Thank you for sharing your precious story. We believe in a miracle working God & I agree with you in letting Jesus provide His perfect plan for your dear sweet Goldie’s life!! Will be praying for your family. Trust in God that his plan is greater than ours and this quote from Joel Osteen is a great reminder, “this pain is not here to defeat me, it’s here to promote me”. It must have taking GREAT courage to share this story, so thank you for sharing your family’s story with your readers. I truly hope that Goldie gets better and healthy sooner than later. Prayers and good vibes will be sent your family’s way! We are rooting for Goldie! Your sweet baby is strong like you. I pray for you, your husband and Poppy. Hey there, my name is Andrew. I do not know you, but I wanted to say, take heart! When I saw your photos I was reminded of a couple of photos of my mother with me in the hospital – tubes in my mouth and everything. 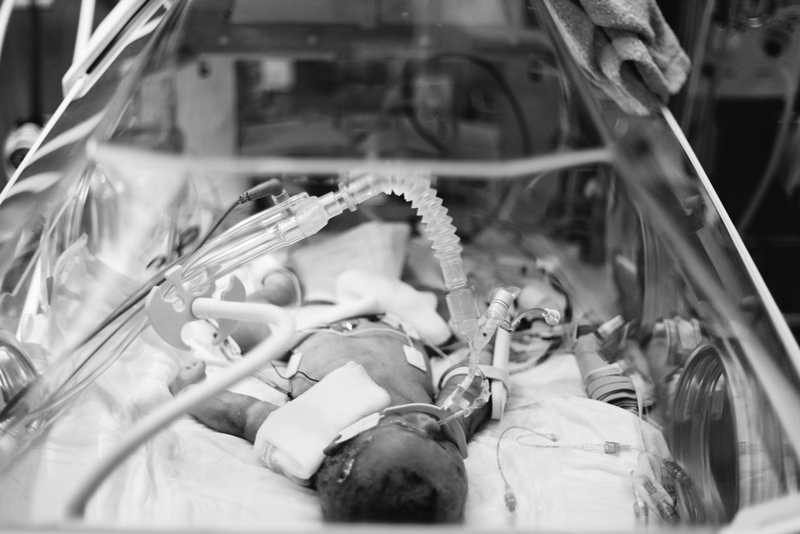 I was born 6 and 1/2 weeks early and I had to go on a ventilator, respirator and incubator. My mom couldn’t hold me for over a week or so. She sometimes tells me it was a really difficult first couple of weeks. Again, I’ve not met you, but I want to let you know that I’m a completely healthy 30 year old grown up person – no allergies, lung problems, growth issues. I don’t even need glasses or braces! Thanks for your vulnerability in your blog post. Reading it has given me more insight into my own mother’s journe with my birth. She doesn’t share much, but it must have been a hard start for her. I wish your family much joy in life together. Congrats and peace to you. I cannot tell you how much love I’m sending you all. Be brave. Sending love and prayers your way. My baby was born not breathing and they didn’t know why. She wasn’t prem but was in nicu and cooled and on so many meds. I pray your beautiful Goldie will pull through like my Elsie did. God is bigger than her injuries and He is good. Hi Bethany. I’ve only met you once but I wanted to let you know that I’m praying for Goldie and your family. My daughter Poppy was also early and in the NICU at Surrey. Such a scary time. Glad you have your family and God to lean on. Longtime follower on your Insagram but just now popping over to your blog. This post made me cry and I just wish you all nothing but support and love. I’ll be thinking of and praying for sweet little Goldie. Although I don’t know you and I probably never will – it doesn’t really matter in times of the heart. I have been so touched by your story and hold your sweet family dearly in my thoughts. Praying for the best. Goldie Bloom is so loved! You may never read this but in odd chance you do, my heart goes out to you and your family. Please know, however, that a doctor pushing on your stomach in delivery is a old, misused, and dangerous practice and I’m appalled in happened in a hospital in BC. Broken bones in delivery are a sign that the doctors have done something wrong (I.e., Goldie Bloom should have been a section). I hope you will consider lodging a complaint at Surrey Memorial as it will help better the care of future deliveries there. Goldie Bloom is a beautiful name. Sending loving thoughts your way. Jesus is by your side! Praying for you. Happened upon your blog via IG tonight and wanted to say my heart hurts for your family. 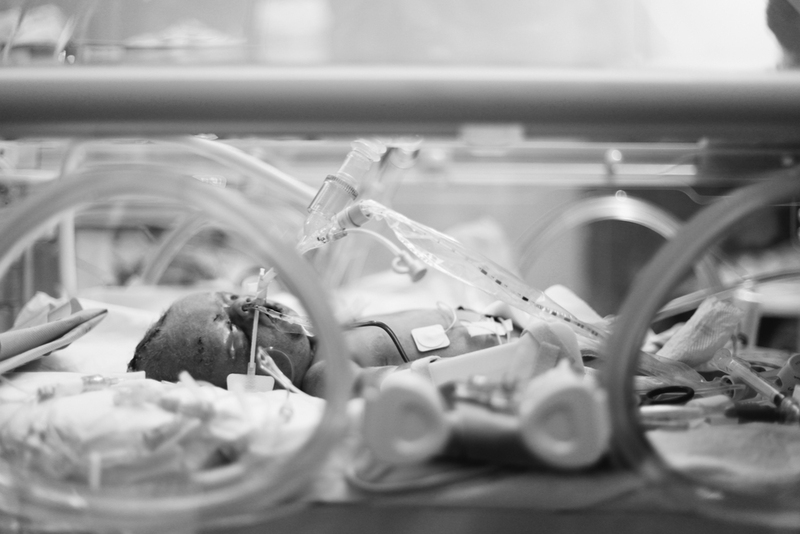 I am a NICU nurse in AB (and a new mom ) and emphasize with the weight of the decisions you have ahead and the heartbreaking role of a mother with a sick baby. Stay strong and know your love is comforting her. Bethany, may you and your family be granted a miracle. I hope Goldie keeps fighting so she can grow up to be the best fighter at life. I was born at 24 weeks, in 1987, in Sydney Australia. I’m in tears right now as your story has helped me understand what Mum and Dad tell me about what happened. They both have their own story but it is the same story they tell over and over. If only Dad and Mum had a typewriter! Lil Goldie, keep fighting sweetie, sending you good vibes through the universe. As a Labor and Delivery nurse for many many years, so many things were done wrong with your care….. I am so sorry that you did and Goldie did not get the care you deserved! God bless you!